Gain non-profit experience. Help protect Tibet's endangered cultural inheritance. Contribute to transmitting Tibetan Buddhist teachings to the West (Berkeley, California). The Nyingma Institute offers courses, workshops and retreats to the public. We have seven fields of study, including Meditation, Kum Nye Tibetan Yoga, Nyingma Psychology, and more. Our mission is to share the healing wisdom of the Nyingma tradition and reveal a path of inner freedom. "Nyingma" (pronounced Ning-ma) is the oldest school of Tibetan Buddhism. Nyingma Institute is one of the oldest schools of Tibetan Buddhism in the west, founded by Tarthang Tulku Rinpoche in 1972. 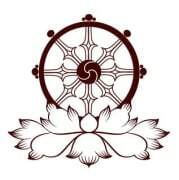 Would you recommend Nyingma Institute?